Just like any spouse, an active duty spouse must receive notice of a divorce action, by being served by personal service and a summons for the court to have jurisdiction to hear the divorce. This may prove difficult if a spouse is actively serving during the initial phases of a divorce. This is why it is important to seek an experienced family law attorney, so that these protections and required steps are certain to be followed. Family law attorney Jennifer Erlinger, and the team at Wood, Atter, & Wolf, P.A. 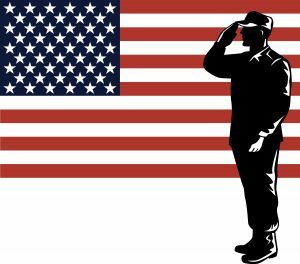 have worked with service members or the spouses / significant others of service members to resolve marital disputes, child custody arrangements, child support awards and other matters. Our family law attorneys are experienced in the specific issues that arise when one or both spouses in engaged in military service. Florida requires that a party lives in Florida for six months before he or she can file a divorce here so that residency within our state can be verified and the laws of Florida can apply, unless the spouses can agree to adopt Florida as the “home” state. This can be accomplished if a service-member is stationed in Florida, or you and your spouse live in Florida. Under Florida law, equitable distribution applies to property obtained during the marriage, but there is another layer of law that applies to military benefits. The Uniformed Service Former Spouses Protection Act, governs how military benefits, specifically retirement, are calculated and divided when a divorce is filed. Federal law will not permit any service member’s retirement benefits to be dispersed directly to a spouse unless they have been married for 10 years or more during the member’s active military duty. These are just some of the considerations that an experienced attorney will need to discuss with service-members and their spouses over the course of a divorce. Being aware of your rights and how the law impacts you as a member of the military or the spouse is essential to making a good and informed decision about how your post-divorce life planning should take shape to rebuild for the future.